Vibrant pear shaped blue topaz stones are accompanied by glittering cubic zirconia stones to stunning effect. These elegant sterling silver and 9ct gold stud earrings will add a luxurious finishing touch to her look. 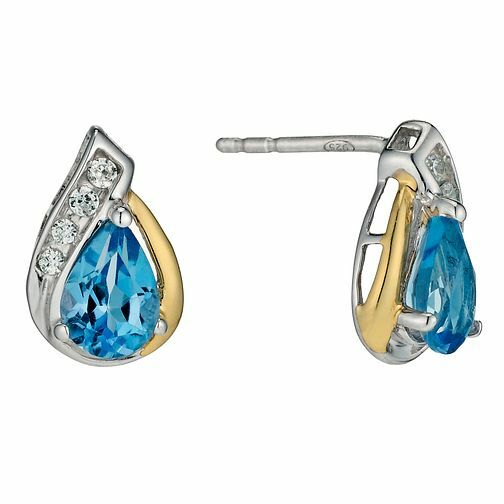 Sterling Silver & 9ct Gold Blue Topaz Pear Drop Earrings is rated 5.0 out of 5 by 2.